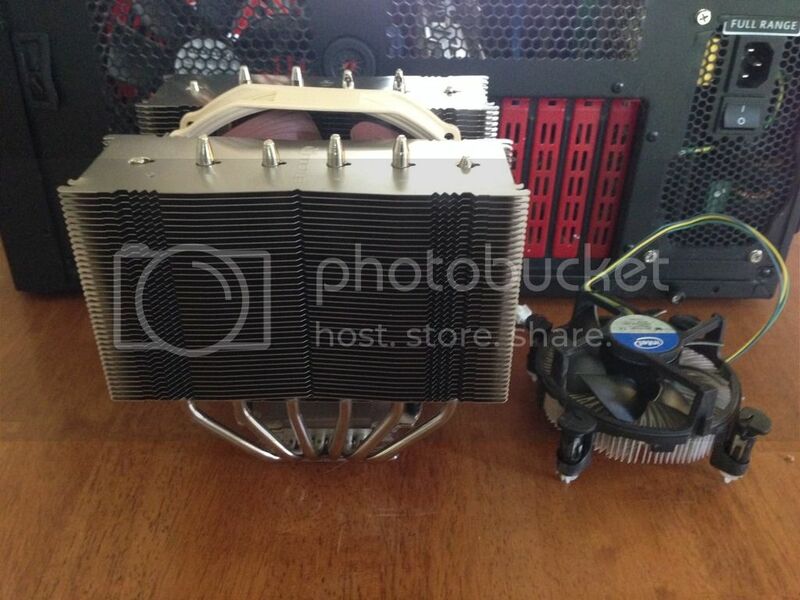 So my stock fan has been running real hot lately. 60 degrees Celsius at idle and over 90 under load. 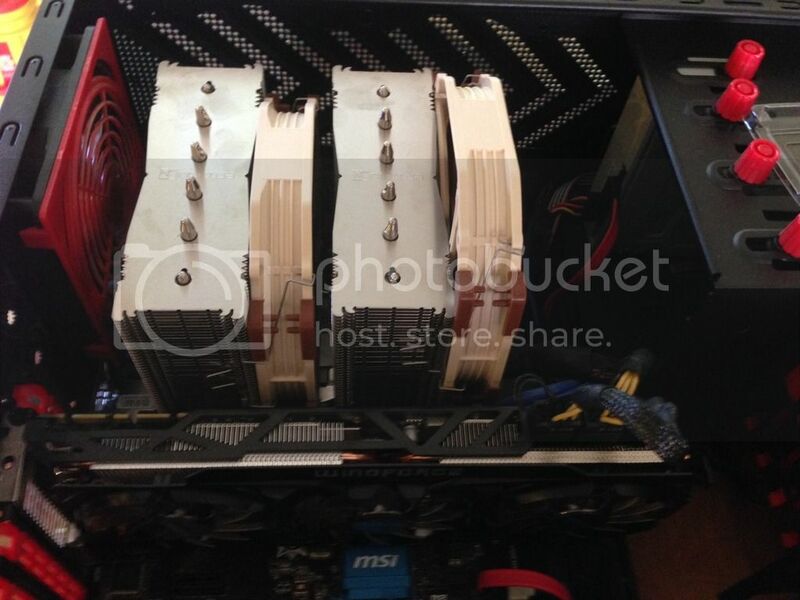 So I did some research and came up with a Noctua NH-D15 as a great air cooled cooler. It arrived today and WOW! this thing is huge (That's what she said. ). It is idling at 29 so I decided to overclock my processor from 3.4 Ghz to 4.0 Ghz and it's idling at 35 and stays at 45 under load. Also went from struggling to get 30fps in Arma 3 with the new map to getting 60-70 now. I didn't think I would get that kind of jump just by doing a little over clock.